Working range as a receiver: 4,400 ft. Working range as a remote: 2,000 ft. 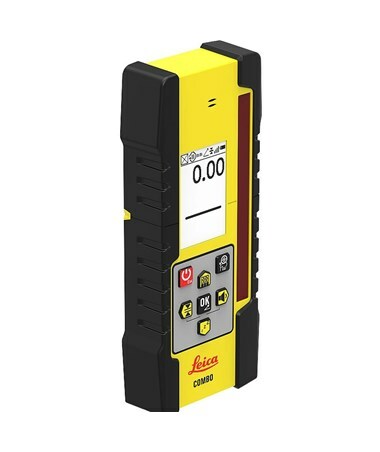 Perfect for Leica Rugby lasers, the Leica CLC Remote/Receiver Combo is a highly functional device that works as both a remote controller and a laser receiver. It features an offset function, real-time acting, an improved radio, and an adjustable-size sensor window. 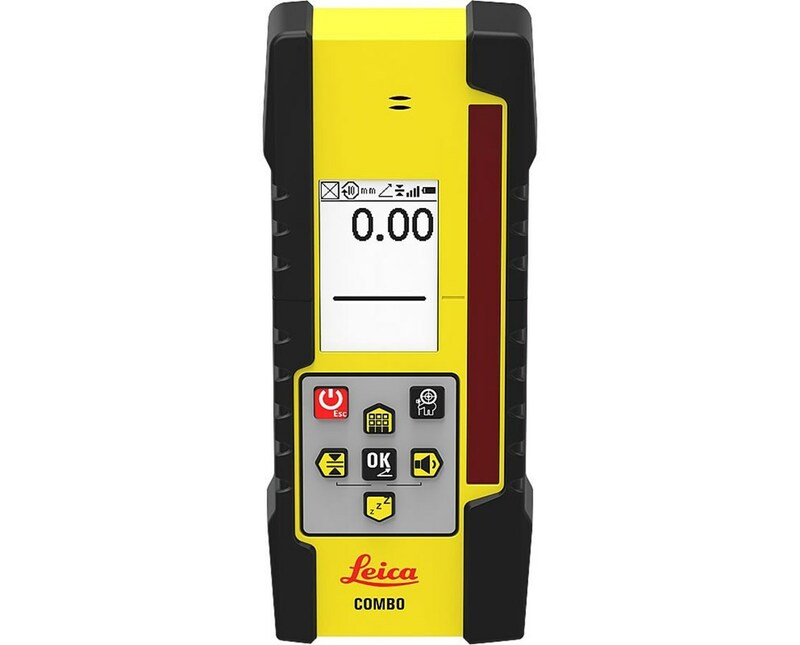 It also has an anti-strobe feature, which assures highest detection reliability by rejecting strobe light. 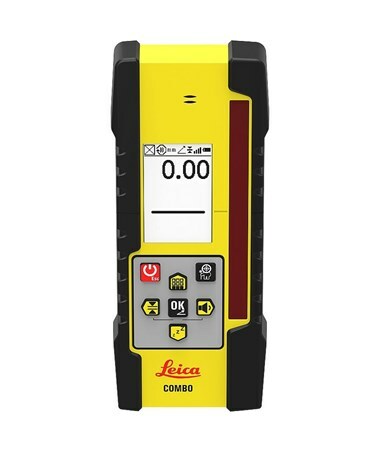 When used as a remote control, the Leica CLC can work up to 2,000 feet and 4,400 feet when used as a receiver. The CLC receiver’s big displays on both sides allow digital reading out of measurements and new pairing via the menu. The seven buttons and clear animated icons for easier operations of the device. It also has a USB-C interface, adjustable audio volume, and auto shutoff feature. 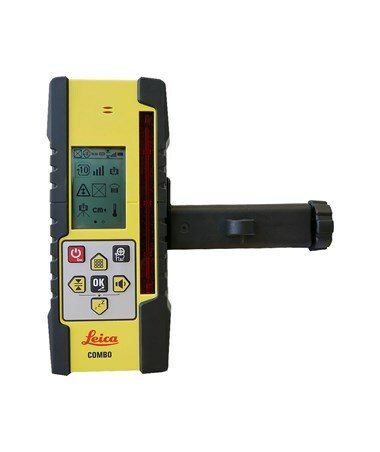 This Leica Rugby remote and receiver combo has a sealed rugged housing designed to last with the IP67 protection class. It has the same bracket interface as existing rod eye receivers for a more versatile use. It uses rechargeable Li-Ion 3.7V batteries that can operate up to 50 hours.